*Found in the 2014 Holiday Catalogue. Available to order starting Aug. 28, 2014. Don't you love those colours together?? With the black, it really adds drama and focus! My favourite images from Four Feathers, are the spotted feathers! I wanted to use the framelits to create a negative space and my first thought was to stamp a landscape behind the feather-shaped openings and let the space reveal the landscape, but I really had nothing small enough to work well. So I used the negative space to trace the shape onto Whisper White. I then stamped the images, lining them up with the traced edges and erased the pencil lines. 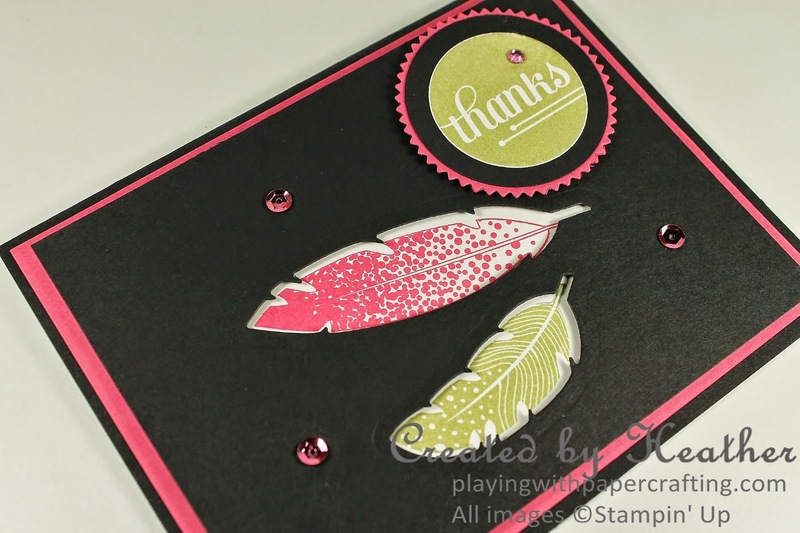 I mounted the Basic Black over the Whisper White using Stampin' Dimensionals to increase the recessed look of the feathers. The sentiment is from A Happy Hooray stamp set. I punched it out using the 1 3/8" Circle Punch and made the mattes using a 1 3/4" Circle Punch to punch the Basic Black circle and the second smallest Starburst Framelit to create the Strawberry Slush starburst. A little balance was needed and some Strawberry Slush sequins from the 2013-15 In Colour Sequin Assortment did the job admirably! Well, it's Tuesday again and you know what that means! Thanks for stopping by today! 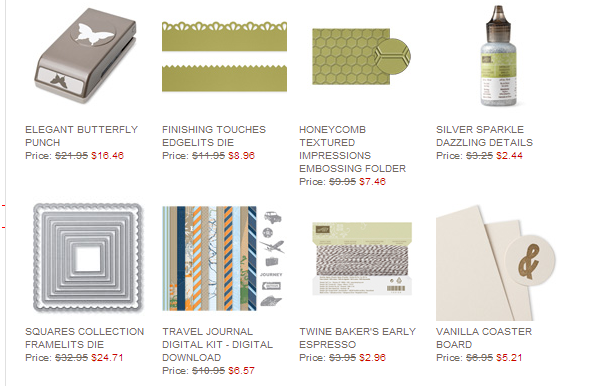 Be sure to check in tomorrow, as I have an amazing new deal to tell you about! Love your black panel with the leaves cut out! I can't wait to play with these when my order comes this week! 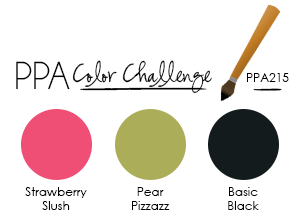 Thanks for playing with the Pals color challenge this week!